Indeed a hairy top, you've seen it right. You remember I bought those extensions a while ago, I still wasn't totally sure what to use it for. Well this is what I made. 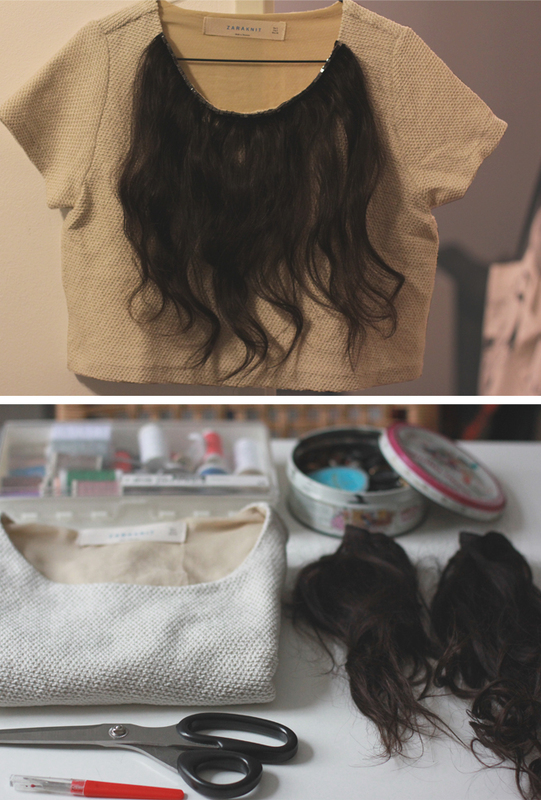 You'll need: a top you don't use anymore, some extensions, beads and needle and thread. 1. 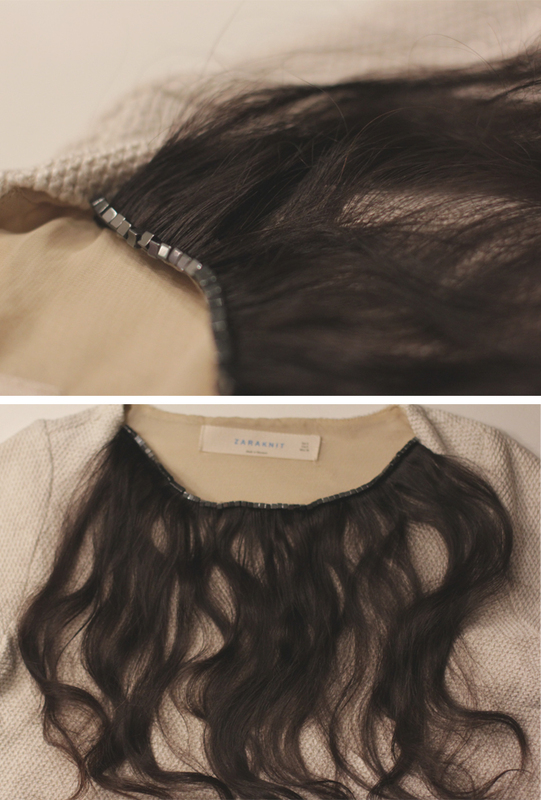 Pin down the extensions on the neckline of your top. 2. 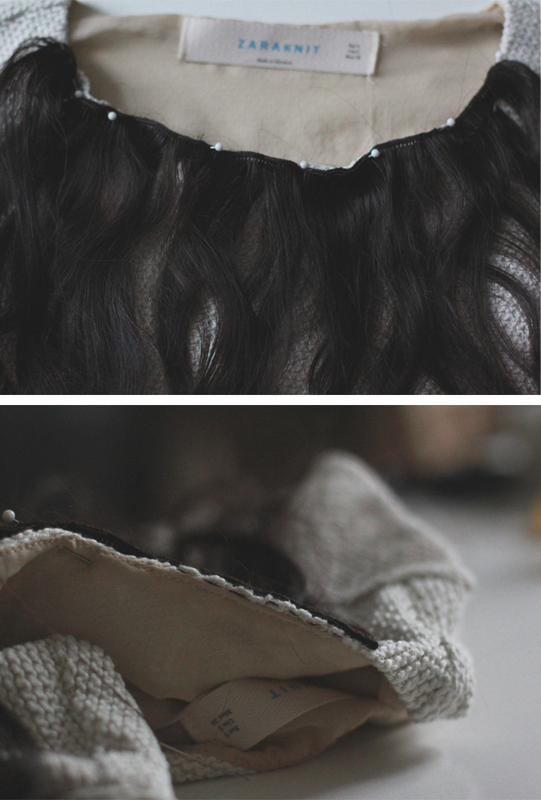 Use needle and thread to stitch the extensions onto the neckline. 3. 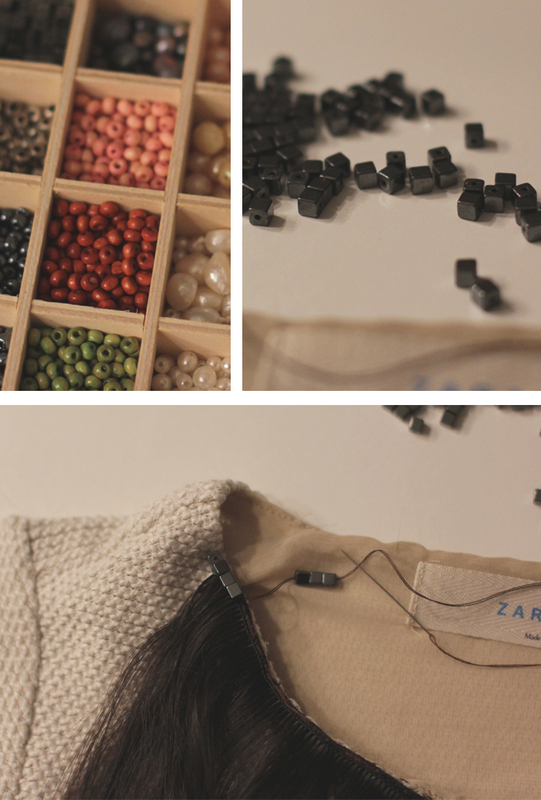 Stitch beads on top to cover the top part of the extensions. Done! http://heritage-mode.blogspot.nl/2013/01/aarhus-look-and-buys.html Here you can see an outfit with it!